A male will dive from 30 meters in the air at speeds up to 60mph to impress females or intimidate fellow competing males. 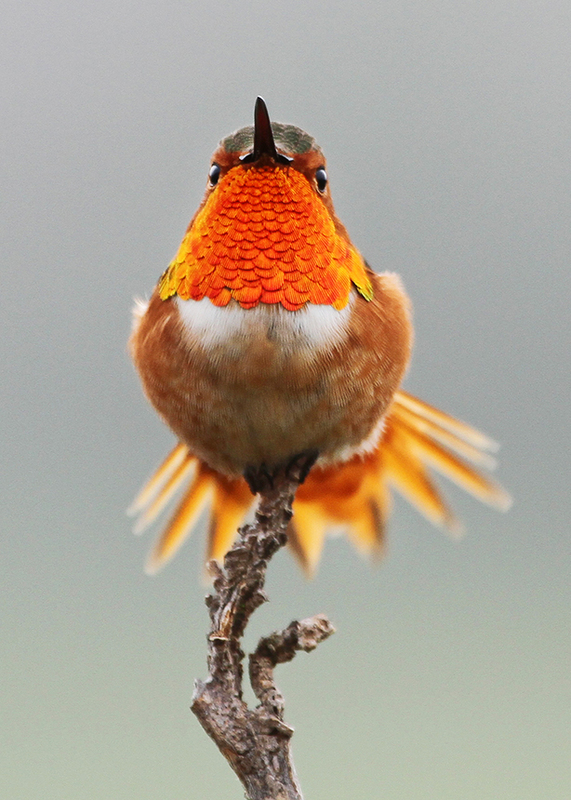 There are two subspecies of Allen’s Hummingbird: Selasphorus sasin sasin and Selasphorus sasin sedentarius. They don’t look significantly different from one another, but the former migrates and the latter does not. During the breeding season, the male spends almost 70 percent of his time guarding his territory. As with other hummingbird species, it forms no lasting pair bond. After mating, females build a nest and raise the young on their own, while males will continue to mate with other females. By 2080, this hummingbird is expected to lose 90 percent of its current breeding range, according to Audubon’s climate models. In order to adapt, this colorful species may have to transition from coastal areas to more inland ones as its climate space shifts—and find the nectar it needs there. 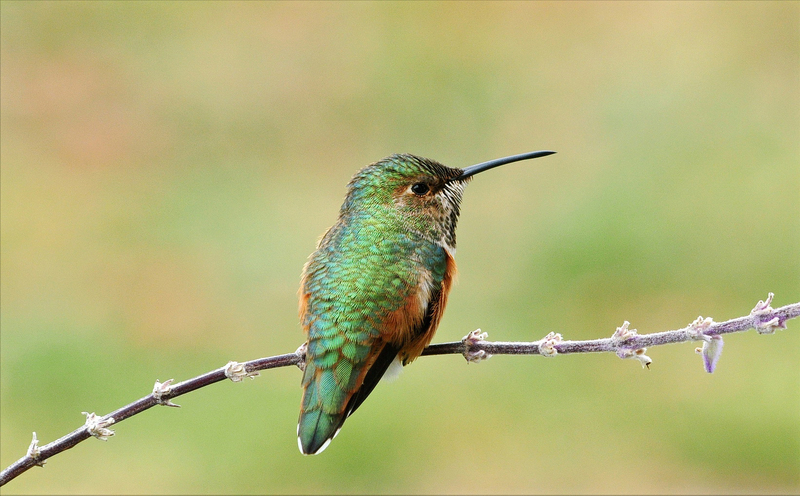 Close relative of the Rufous Hummingbird, and almost identical to it in some plumages, Allen’s Hummingbird has a much more restricted summer range. While the Rufous nests from Wyoming to southern Alaska, Allen’s nests only in coastal regions of California and southwestern Oregon. During migration seasons, however, they overlap extensively, both traveling to southern Mexico for the winter. 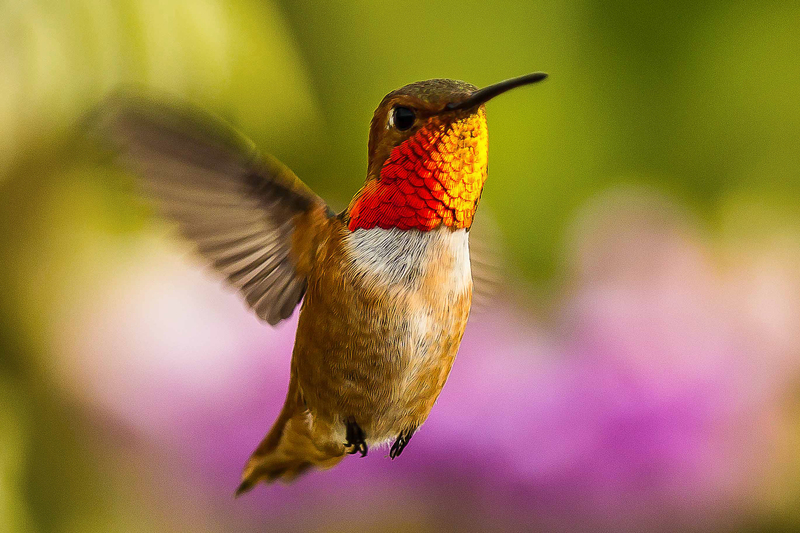 Within its summer range, Allen’s Hummingbird is commonly seen in back yards and city parks, where males will perform their spectacular display dives to warn rival males away and attract the attention of females.